Apple has released a new iPhone commercial focusing on using Group FaceTime on the iPhone. 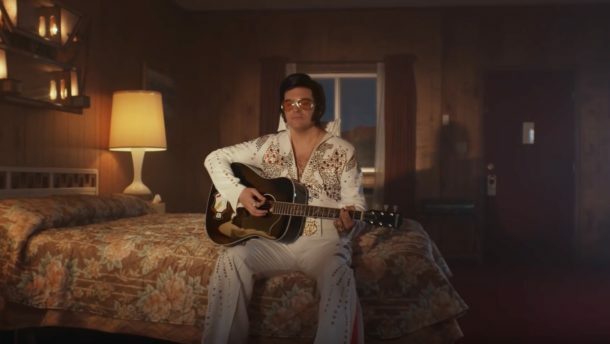 The charming new TV advertisement is somewhat humorous in that it shows various Elvis impersonators singing along together on a Group FaceTime video call from varying locations around the globe, including in hotel rooms, high rises, a stormy boat, a rainy bus stop, and some other forlorn locations. 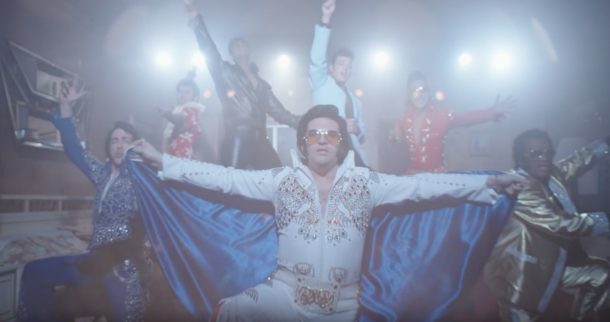 The song featured in the Elvis Group FaceTime iPhone commercial is “There’s Always Me” by Elvis Presley. Anyone with a compatible iPhone or iPad running iOS 12.1 or later can use Group FaceTime for video chat. Mac users with macOS 10.14.1 or later can use the group video conferencing feature as well. Apple is running other commercials right now as well, including specific commercials for the iPhone XR and iPhone XS series. The company also recently released a 3 minute long animated short for the holidays, titled “Share Your Gifts“. Group Facetime feature I am not likely use, but glad to see that Elvis is still the King.